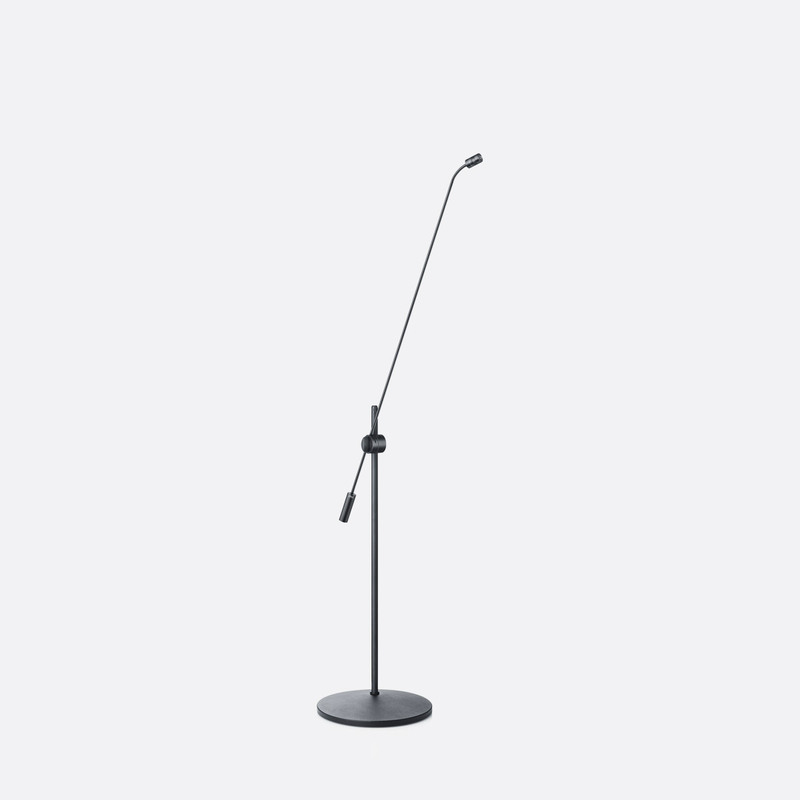 DPA d:sign series of floor standing microphones have been designed to give ‘an elegant’ solution for applications including TV studios, OB vans, stage, theatre or concert hall audio capture. An integrated shock mount system within the floor base to reduce low frequency noise along with microphone stabilisation. The d:sign 4011 uses DPA’s MMC4011 pre-polarised cardioid condenser capsule and is available in lengths of 77cm and 122cm. 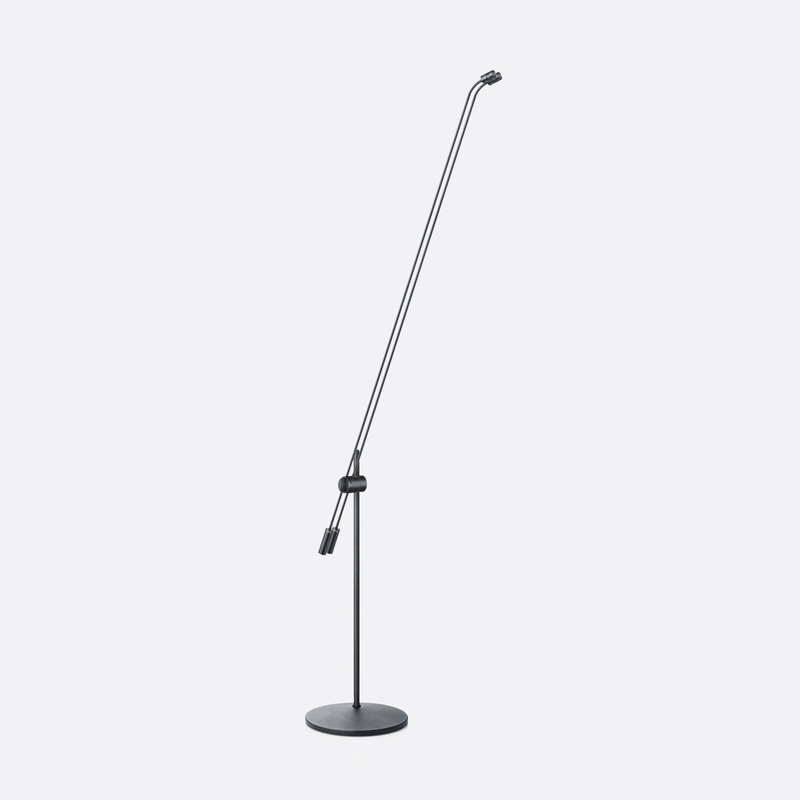 There is also a 122cm option with twin microphone, often preferred for redundancy or additional sound options. This microphone has the ability to handle sound pressure levels up to 144dB before clipping make the microphone also suitable for miking piano, acoustic guitar, percussion, or wind instruments. A frequency range of 20Hz – 20kHz, 40Hz – 20kHz at +/-2dB at 30cm compliments the 10mV/Pa; -40dB at +/-2dB, 1kHz sensitivity to offer ‘superb separation’ and ‘smooth’ response. Has a dynamic range of 121dB typical. Requires +48V phantom power for full performance. 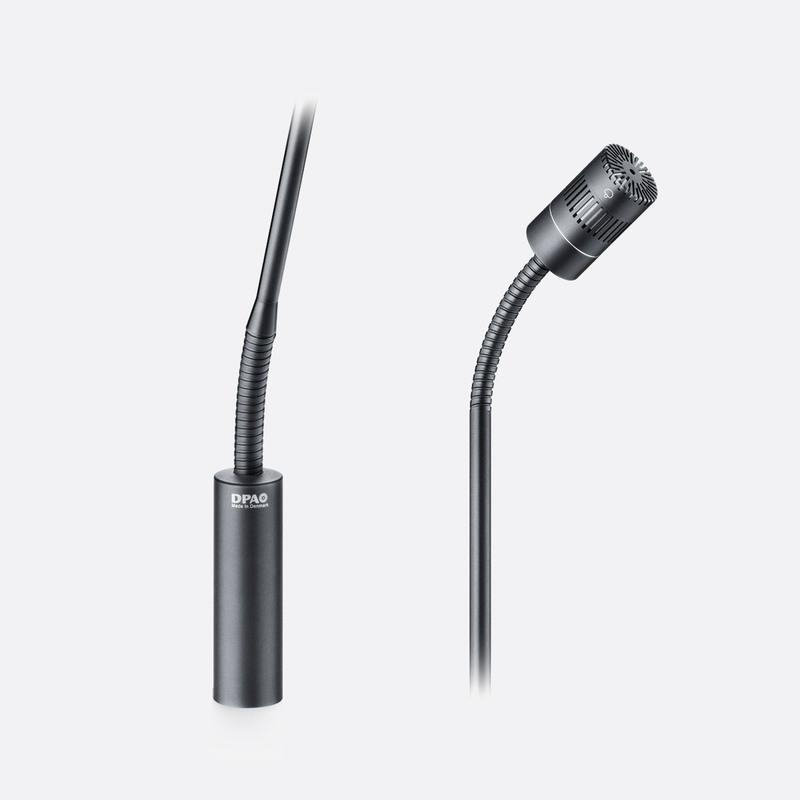 All 4011 floor standing microphone options are terminated with 3-pin XLR. 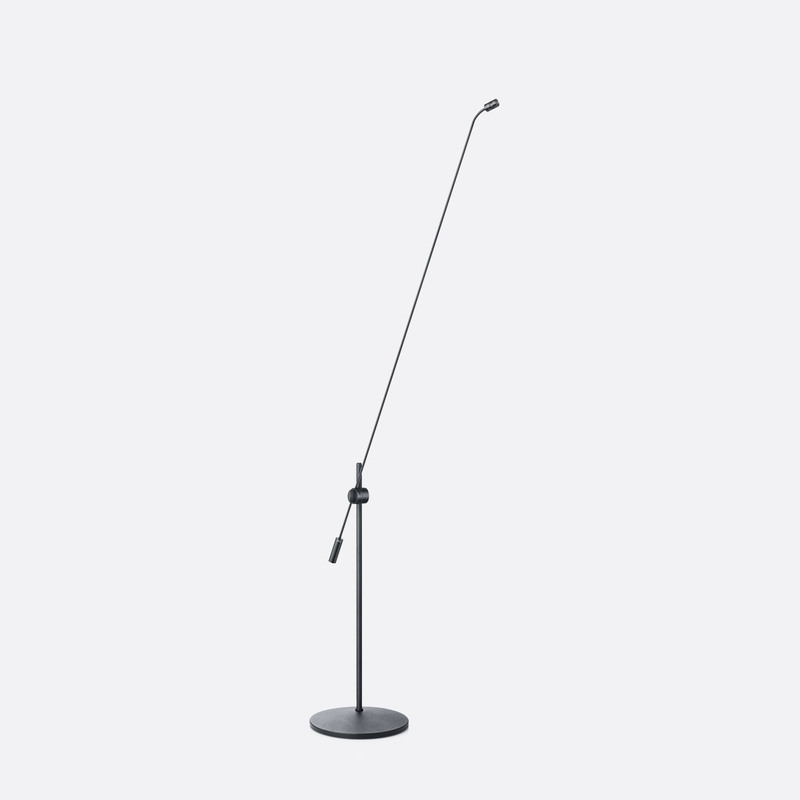 Like the d:sign 4011, the d:sign 4018 comes in three varieties – single microphone with 77cm boom, single microphone with 122cm boom, and twin microphone with 122cm boom length. These supercardioid MMC4018 capsules have a ‘highly-directional’ pickup pattern designed for speech applications where background noise is required at a minimum. 4018 has a frequency range of 20Hz – 20kHz, 40Hz – 18kHz at +/-2dB at 30cm and a sensitivity of 12mV/Pa; -38.4dB at +/-2dB, 1kHz. Maximum SPL is 142dB before clipping with a dynamic range of 121dB typical. All 4018 floor standing microphone options are terminated with 3-pin XLR and require +48V phantom power for full performance. This model is offered in a single length of 122cm and has been designed to give a ‘very low noise’ but high sensitivity pickup. The supercardioid pickup pattern and ability to handle ‘extremely high SPL’ before clipping aids a natural sound with low distortion whilst rejecting unwanted background noise. 4098 has a frequency range of 20Hz – 20kHz and a sensitivity of 16mV/Pa; -36dB at +/-3dB, 1kHz. Maximum SPL is 135dB before clipping with a dynamic range of 102dB typical. 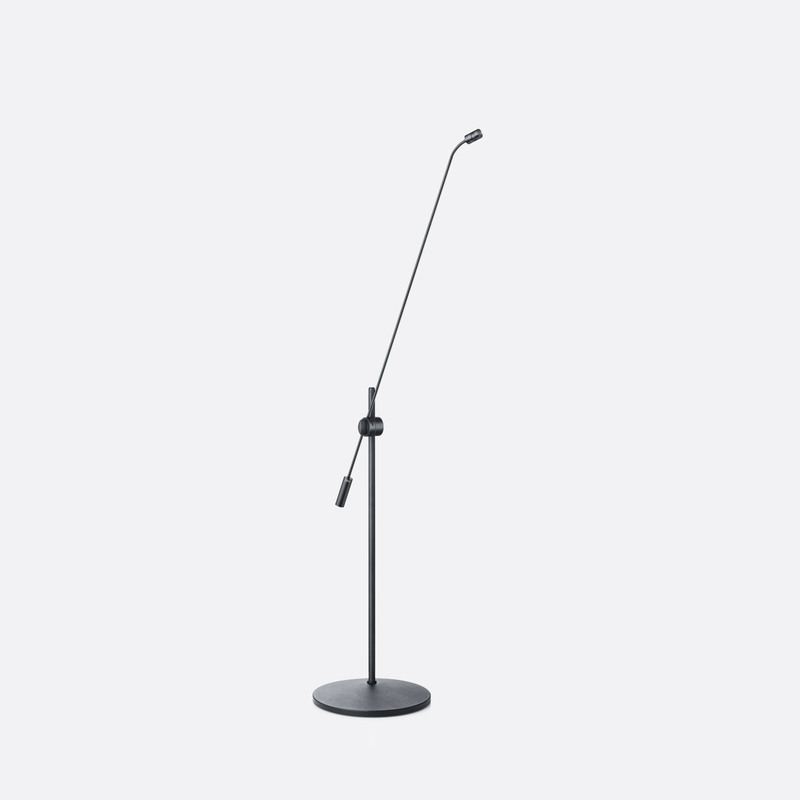 This floor standing microphone is terminated with 3-pin XLR and requires +48V phantom power for full performance.